The Tracking and Data Relay Satellite (TDRS) project has begun final testing on a new satellite that will replenish NASA's Space Network. The spacecraft is scheduled to launch from NASA's Kennedy Space Center in Cape Canaveral, Florida, on Aug. 3, 2017, on an Atlas V rocket. "The Space Network is critical to numerous NASA missions that are fundamentally changing the way we think about science," said Bill Marinelli, TDRS development manager with the Space Communications and Navigation (SCaN) program office at NASA Headquarters, which provides programmatic oversight to the TDRS mission. "By expanding the fleet of satellites that support communications from these missions, TDRS-M will enable NASA to continue scientific exploration and discovery for years to come." 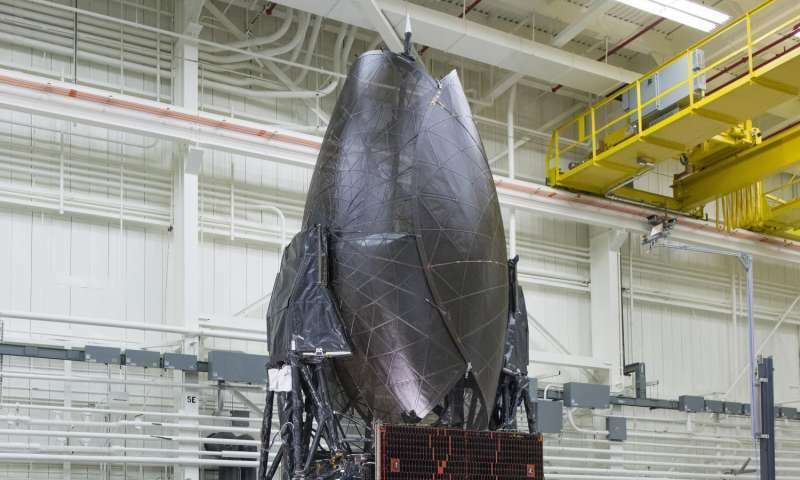 Designed, built and environmentally tested at Boeing's satellite development center in El Segundo, California, the spacecraft is currently undergoing a final series of tests to ensure it is flight-ready. TDRS-M will continue to undergo electronics, compatibility and deployment tests into the spring as the team prepares to ship the spacecraft to NASA's Kennedy Space Center in Cape Canaveral, Florida, for its mid-summer launch. 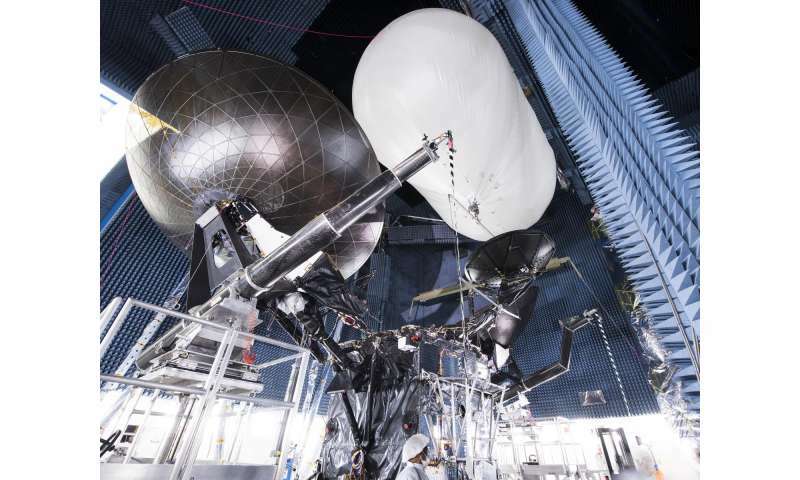 In coming months, engineers will test TDRS-M to ensure it connects with the Space Network's various ground stations. NASA built the initial White Sands Ground Terminal (WSGT) in Las Cruces, New Mexico, in the 1970s and launched the first TDRS in 1983. In the 1980s, NASA identified the need for and built the Second TDRS Ground Terminal (STGT) at White Sands, forming the White Sands Complex. Today, the network has added two additional ground terminals in Guam and Blossom Point, Maryland, and currently has nine TDRS in orbit around Earth. Two of the original spacecraft have now been retired. The two most recent satellites, TDRS-K and TDRS-L, were launched from Kennedy Space Center to replenish the fleet in January 2013 and January 2014, respectively. After the scheduled TDRS-M launch later this year, the TDRS project will have successfully launched 12 satellites in support of the Space Network. The TDRS project at NASA's Goddard Space Flight Center is responsible for the design, build, integration and testing of the spacecraft. 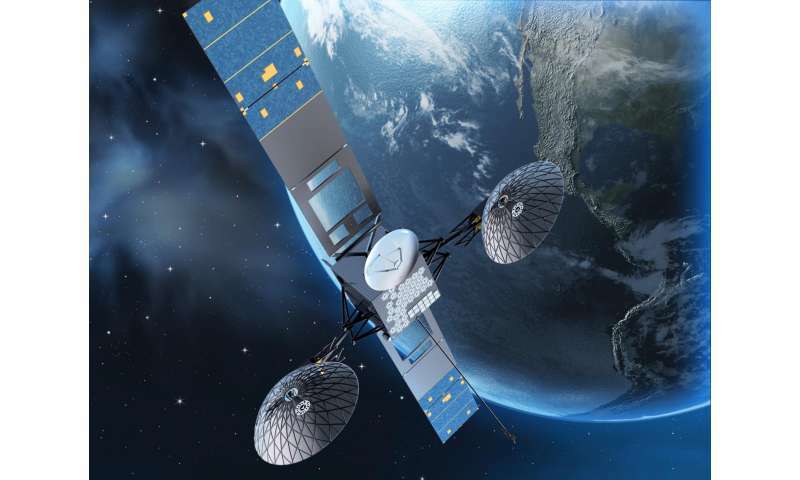 After launch, on-orbit testing and spacecraft acceptance by the TDRS project, the Space Network will integrate TDRS-M into the TDRS constellation.